At Grace, we believe your child’s first exposure to school should be a positive experience. We’ve been serving the communities of Broomall, Havertown, and Newtown Square for more than 50 years! We only employ certified teachers, and we have a small student/teacher ratio. Families love that we’re conveniently located near the Blue Route, and that we offer morning sessions 2, 3, 4, or 5 days a week. Our classes accommodate children ages 2 1/2 to 5, and there’s an aide in every classroom. Individual parent-teacher conferences help you stay in touch with your child’s progress in the classroom. 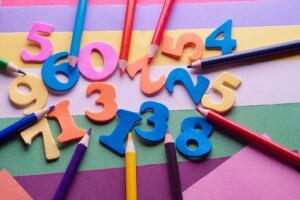 We work closely with local schools to ensure that your child is ready to make the transition to kindergarten. We offer morning sessions from 9:00 – 11:30 AM, with a supervised lunch hour available from 11:30 AM – 12:30 PM. Choose to attend 2, 3, 4, or 5 days per week. There is a 1% discount for the 3 Payment Plans and a 2% discount for the Annual Plans. Payment is due on the first school day of the month for the monthly plan, on the first school day of September, December and March for the 3 Payment Plan and the first school day of September for the Annual Plan. Grace Lutheran Nursery School can refuse entry due to late or nonpayment unless prior arrangement is made. If your payment is not received on time, a late fee of $15 will be assessed to your regular payment. *In cases of special circumstances alternative arrangements may be discussed with the church’s financial committee. 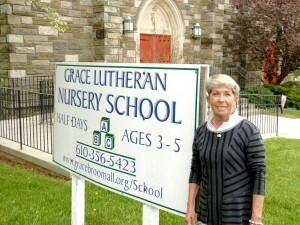 Grace Lutheran Nursery School has extended the school year to the last weekday in May with no increase in tuition. Contact us if you have questions or would like to arrange a visit. NurserySchoolApp.docs (PDF) is available online. 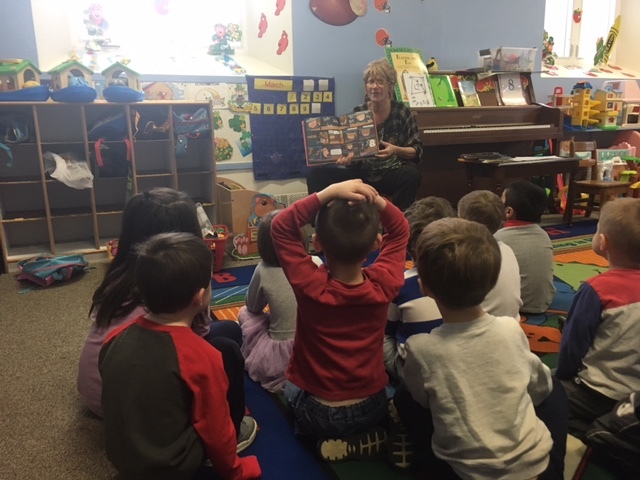 Miss Andie from Marple Public Library has been visiting our classrooms monthly : reading us age-appropriate stories, singing songs with us and doing crafts in addition to providing us with the paperwork to get our very own library cards!! 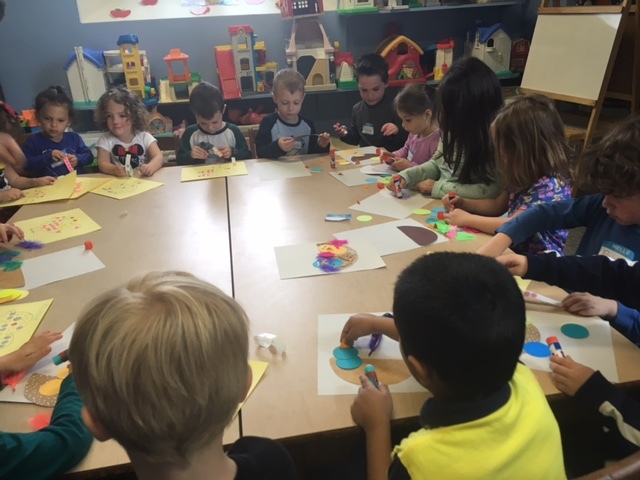 In May, Miss Andie from Marple Public Library read us a couple books about spring birds then the four-year-olds made Birds nest’s and our younger children put circles on pictures of birds. 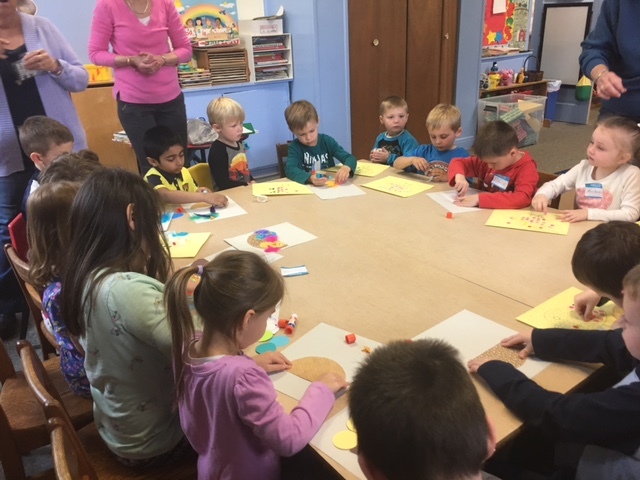 It was an arts and crafts activity following Miss Andie’s presentation of library books about spring birds. 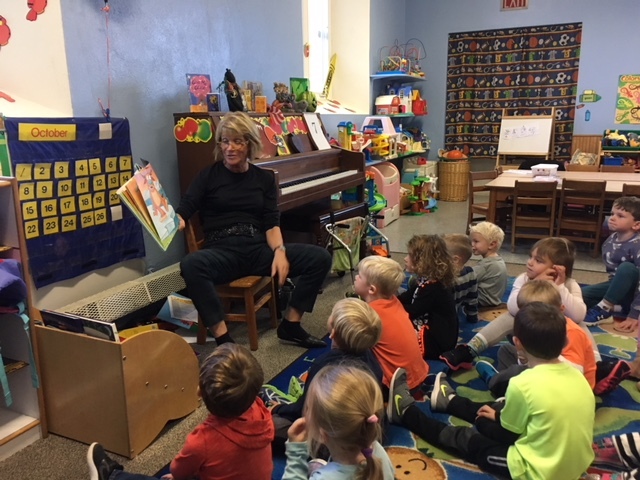 The Marple children’s librarian Miss Andi visited both of our classes this past Friday, October 27th. She comes monthly with seasonal- appropriate books and does a fun craft with all the children during her visit. 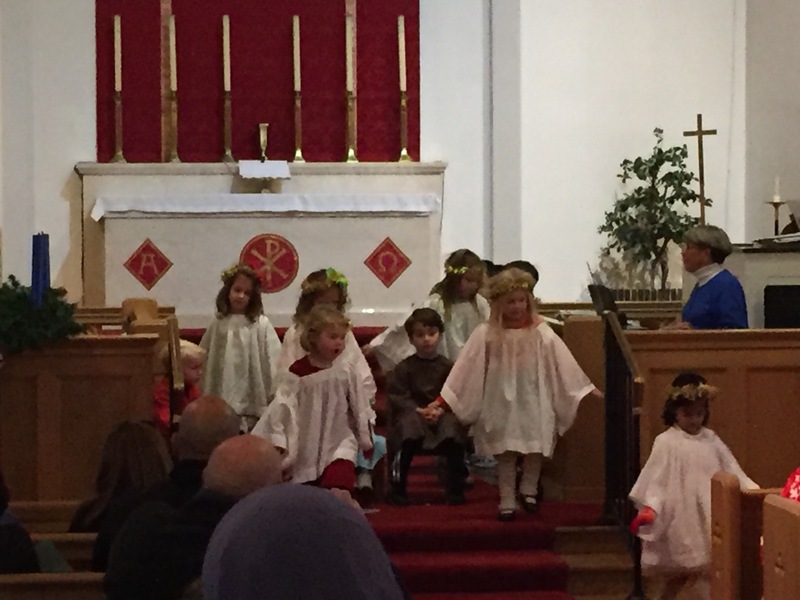 On Wednesday, December 12 the children of Grace Lutheran Nursery School put on their Christmas pageant for their parents, grandparents, aunts, uncle, siblings and friends.